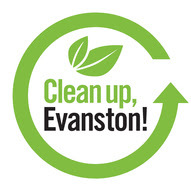 Community members are invited to participate in the City's annual Earth Day and Arbor Day community clean-up event, “Clean up, Evanston!," on Saturday, April 27, from 9 a.m. to 11 a.m., at locations throughout the city. Community members who would like to clean up a park or public space that is not listed should select the “Self-organized park clean up” option on VolunteerEvanston. This option allows volunteers to clean up their neighborhood parks with support from the City. In VolunteerEvanston, volunteers should indicate which park they’d like to clean up and how many will be participating. Bags may then be picked up from the Ecology Center Wednesday, April 24 through Friday, April 26, from 8:30 a.m. to 5 p.m., and on Saturday, April 27, from 8:30 a.m. to 9:30 a.m.
View photos from 2017 and 2018 events.